SPAM, SPAM, SPAM, SPAM is the mystery meat that is fun to eat! SPAM is made of secret spices intermingled with pig parts that are cooked right in their cans, right on the assembly line! The lines are able to produce an astonishing rate of 44,000 cans an hour! And how did we learn these facts? Just visit the SPAM Museum and you'll learn everything you've ever we wanted to know about this mystery meat! In 1991, Hormel (the makers of SPAM and other food products) opened a small storefront company museum in a local mall but visitors seemed to care mostly about SPAM. 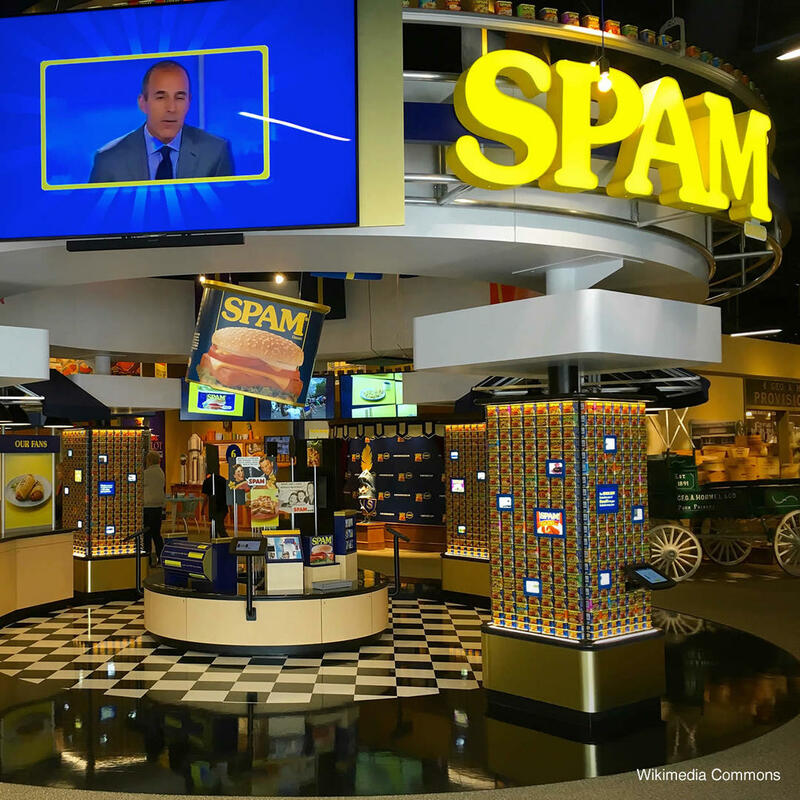 The museum was transformed and rechristened as the SPAM Museum! Now the SPAM museum has its very own custom building for all SPAM lovers to enjoy. Check it out and you'll learn about SPAM and other products and some very interesting facts about how SPAM gets from the factory to your kitchen table. SPAM, oh that wonderful SPAM!